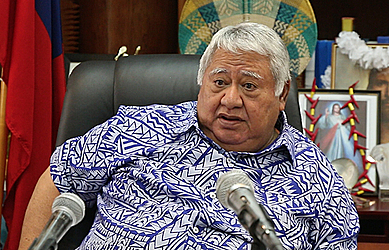 Prime Minister Tuilaepa Sa’ilele Malielegaoi’s government has taken a diplomatic approach to the European Union’s (E.U.) decision to “shame” Samoa and 16 other countries on its tax havens blacklist. In a statement issued by the Principal Communications Officer, Press and Communications Division, Funefe’ai Dikaiosune Tamaali’i yesterday, Cabinet assures it is working with the European Union to comply with their obligations. “The government of Samoa confirms its commitment to meet its obligations for compliance under the Code of Conduct Group of the European Council on taxation by the deadline,” the statement reads. The government does not provide the letter. But the statement says the latter is addressed to the Chair of the Code of Conduct group to assure Samoa’s commitment within the prescribed time frame of 2018. “The letter is also in addition to the Ministry for Revenue’s response sent to the Chair of the Code of Conduct Group on the 2nd November 2017 in relation to results as identified from its screening process. The response from the government comes after the E.U. listed Samoa as one of 17 countries blacklisted as tax havens. The list part of the E.U’s bid to crack down on tax avoidance. Other countries include American Samoa, Bahrain, Barbados, Grenada, Guam, South Korea, Macau, Marshall Islands, Mongolia, Namibia, Palau, Panama, St Lucia, Trinidad & Tobago, Tunisia and United Arab Emirates. The EU said the countries weren't meeting international standards and hadn't made sufficient commitments to change their ways. E.U. Council Head. Toomas Tõniste said the list will be regularly reviewed until "good tax governance becomes the new norm". To’oto’olea’ava explained that Samoa is a member of the Group of International Finance Centre Supervisors (G.I.F.C.S.) and the Group of International Insurance Centre Supervisors (G.I.I.C.S.) through the Samoa International Finance Authority. “The Independent State of Samoa is meeting, and continuing its efforts to meet a number of international standards set by international standard setting bodies of which Samoa is a committed and responsible active member, on various fronts, such as tax, money-laundering and terrorism financing,” she said. The Independent State of Samoa is meeting, and continuing its efforts to meet a number of international standards set by international standard setting bodies of which Samoa is a committed and responsible active member, on various fronts, such as tax, money-laundering and terrorism financing. Samoa is a member of the Group of International Finance Centre Supervisors (G.I.F.C.S. ), and the Group of International Insurance Centre Supervisors (G.I.I.C.S) through the Samoa International Finance Authority. Samoa is also a member of the O.E.C.D. Global Forum and its Peer Review Group where the Ministry for Revenue is the Competent Authority; and of the Asia Pacific Group (A.P.G.) on Anti Money Laundering and Terrorism Financing (the Regional body of the Financial Action Task Force (F.A.T.F. )), where the Money Laundering Prevention Authority (housed in the Central Bank of Samoa), is the Competent Authority. The G.I.F.C.S. has promulgated a standard (T.C.S.P. Standard), for the adherence and assessment of its members’ regulation of trust company service providers. Samoa has incorporated the T.C.S.P. Standard into its newly enacted Trustee Companies Act 2017, in order to comply with the G.I.F.C.S. standard, and in preparation of Samoa’s review under the same. The Trustee Companies Act 2017 also incorporates the necessary provisions to reflect the 2016 Terms of Reference, which is the new standard set by the O.E.C.D’s Global Forum on Transparency and Exchange of Information for Tax Purposes. Samoa has been assessed under the old standard (2010 Terms of Reference) and has met the requisite level of compliance under the 2010 standard, and therefore will now be assessed under the new standard, come July 2018. The O.E.C.D. Global Forum has 146 member nations, and is the largest international forum on tax. Furthermore, still pursuant to the O.E.C.D. Global Forum Standard – Samoa has committed, and is due to execute ‘Automatic Exchange of Information for Tax Purposes’, in September 2018. 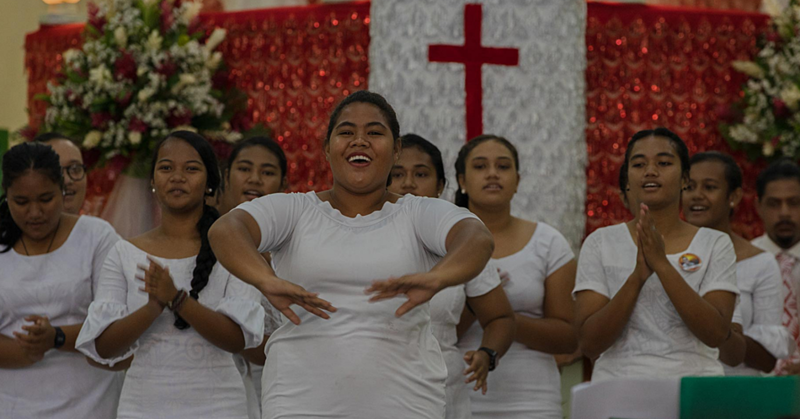 Again, pursuant to the 2010 and 2016 standards Samoa amended its tax legislation as well as other international finance legislation in 2013, 2014, 2015, 2016 and 2017. The F.A.T.F. Recommendations 2012, and Methodology 2013, forms the current standard regarding anti money-laundering and counter terrorism financing, pursuant to which Samoa was successfully reviewed in 2014/2015. 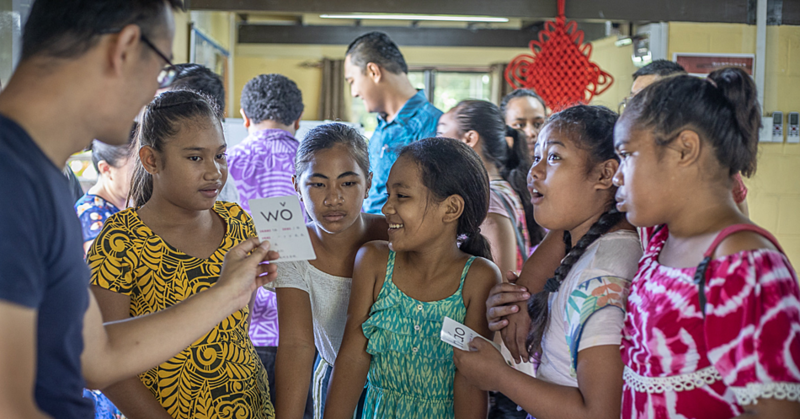 The F.A.T.F., unlike the O.E.C.D., has regional sub-groups and for Samoa it is the Asia Pacific Group (A.P.G.) on Anti-Money Laundering and Counter Terrorism Financing, that is the relevant regional body of which Samoa is a member. 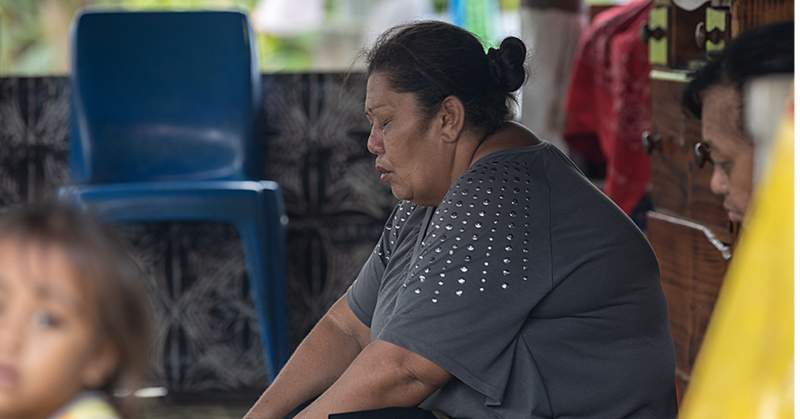 In response to the tectonic shifts in the regulatory environment Samoa has modernised its legislation, incorporating sensible and appropriate protections to meet international standards. Evidenced by the fact that the Independent State of Samoa does not appear on any O.E.C.D., or F.A.T.F(.A.P.G. ), or G.I.F.C.S. list. The European Union (E.U. ), unlike the G20 which relies on the O.E.C.D. process, unilaterally decided to have its own review/standard and assessment. Even though many, if not all of the E.U. members are also G20 and O.E.C.D. Global Forum members. The E.U. membership, unlike the O.E.C.D. and F.A.T.F., is not international, as it has a parochial focus. Its review/assessment process, as compared to the O.E.C.D. and F.A.T.F’s is not fully transparent, especially with regard to monitoring; nor is their review process by peers, which in contrast, is the case for the O.E.C.D. Global Forum, the F.A.T.F. (A.P.G. ), and the G.I.F.C.S. These differences between the E.U., and the O.E.C.D. and the F.A.T.F., may partially explain aspects of the E.U. Listing. For example, Guam and American Samoa which are U.S. territories are on the E.U. List, but the United States of America is not. Some offshore jurisdictions are listed like Panama, while others, like Cook Islands, Wyoming and Delaware – U.S.A., are not; when the U.S.A., Panama and Cook Islands are all in the O.E.C.D. Global Forum and the F.A.T.F., and have been duly reviewed under their respective standards, and yet here, the E.U. has rated them differently. Samoa actively and promptly responded and cooperated with the EU and their process, meeting the mid-year and 17 November 2017 deadlines for response; while at the same time meeting its obligations under the international standards of the O.E.C.D. and G20, F.A.T.F., and G.I.F.C.S.